Do you need a drug free way to relieve Stress? Today was very rainy and then when the rain stopped it got really windy. My gosh I never saw it so windy! Since I stayed inside most of the day today we decided to eat some dinner out late. Usually, we are in bed at the time we ate dinner. We ate dinner at Sakura a very classy Japanese restaurant in town. It was the second time I ate there since I've been here. 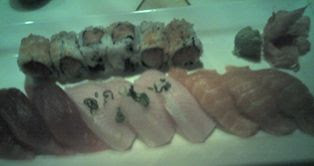 My Babe Dako ordered some sushi which I did not care to eat any of it. I got a Chicken Teriyaki Bento box. First, they served us some salad with a ginger dressing. I liked it a lot. 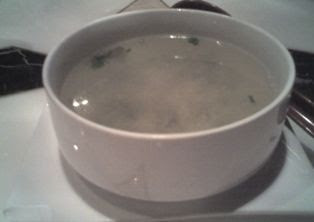 Then, we had some Miso Soup which was very tasty since I was craving some soup, my Babe Dako didn't bother to taste the soup they have served he said it was fishy lol. With my dinner in the Box they had a lot of things. First, chicken with veggies, a ball of white rice, some California rolls, tempura shrimp and veggies and a sweet dumpling. I really liked the dumpling very tasty. Now it is sooooooo late but we are up watching TV and blogging. Over all not a bad day. the food looks great..also like japanese foods..especially the raw ones..you should try it..it taste good..